March is Washington Wine Month, a perfect occasion to both celebrate and learn about the quality, variety and personalities of Washington Wine. 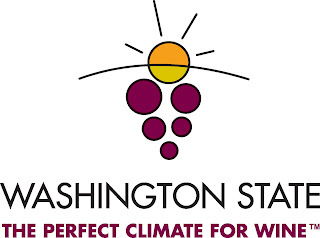 The accolades and recognition for the wines coming from Washington continue to mount and national and international wine publications and wine authorities are fully aware that Washington is making some of the country's and really the world's best wines. 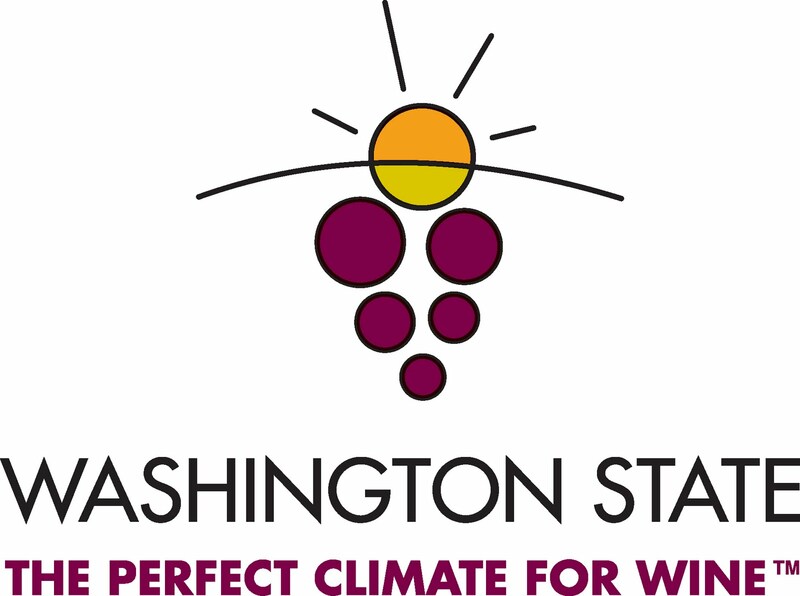 Washington Wine Month and its culminating event, Taste Washington, are aimed not at these media outlets or industry types, but rather at the consumer, and specifically the consumers within Washington. Washington is the country's second largest wine producer, but only a fraction of the size of California, which is a very good thing in my opinion. Washington's 160,000 tons crushed in 2010 pales in comparison to California, where they crushed 654,522 tons of Chardonnay alone, but California produces a lot of wine, much of it bad, and some of it in boxes. When you look at the higher quality California regions, Sonoma and Napa, who crushed 189,897 and 138,379 tons, respectively, in 2010, then Washington is in good company for quality wine production. The Washington Wine Commission hopes consumers will educate themselves about the high quality wine that that's being produced here in Washington - often close enough that you can more or less throw a rock and hit a vineyard or winery. The hope is that consumers in Washington are at the very least, shopping for, ordering and actively seeking out the wines that we make right here in Washington. For those of you who may be - somehow - still in the dark about Washington wine, shame on you, but what are you waiting for? This month gives you the perfect opportunity to brush up on your familiarity with Washington wine. As a primer here are a few tidbits you can use to get yourself ready for Taste Washington on March 27th. Washington has eleven federally recognized AVAs including one on the western side of the Cascades. The fruit coming from each of these AVAs varies and when wineries produce an AVA or vineyard designate, that wine gives you an opportunity to focus in on one of the characteristics and qualities that define these eleven regions. As a consumer and budding Washington wine connoisseur, take the time to sample wines from each AVA, it'll give you a sense of Washington's range when it comes to wine growing. Wineries and tasting rooms are popping up in Seattle and Spokane and they give consumers a great opportunity for easy access to the kinds of experiences those visiting wineries often come away with. Wineries like Domanico Cellars in Ballard and Laurelhurst Cellars in SoDo/Georgetown do all of their production on site. You don't need to leave the big city to meet the winemaker and see what they're doing. Washington has become known for Riesling, Cabernet, Merlot and Syrah and for good reason: we produces some of the best in the world. Increasingly, though, growers and wine makers are also stretching themselves and exploring a variety of varietals. For examples, check out Washington Tempranillo by Gifford Hirlinger, a Lemberger from Kiona, Gruner Veltliner and Pinot Noir by Syncline and Petit Sirah by Thurston Wolfe. Some of the best fruit in the world is growing right here in Washington and the growers and winemakers are doing a wonderful job of working together to really push the boundaries and make improvements to what they've done. Look for vineyard designate wines that will allow you to see what these sites can do. Vineyard designates are indicated on the wine label, and vineyards to look for include Boushey Vineyard, Champoux Vineyard, Ciel du Cheval, Conner Lee, Dubrul Vineyard and Klipsun Vineyard. The greatest tasting event on earth is quite simply Taste Washington. There is nothing else like it. The event spans three days beginning with the Restaurant Awards on Friday, the amazing and once in a lifetime seminars on Saturday and wraps up with the greatest tasting extravaganza of all time on Sunday at the Qwest Event Center. Over 200 wineries and 60 Seattle area restaurants are coming together to give you the opportunity taste the best Washington has to offer. There are a lot of options, and it’s easy to go too far. Instead, make a plan, pace yourself and figure out exactly what you hope to get out of the experience. “Plastered” should not be at the top of that list. I'll have more on Taste Washington for you soon, but if you're not excited about March now, I'm not sure you can be helped. For tickets click here.